I’m always knitting for work, but when it comes to knitting for me, I tend to get into slumps where I don’t pick up my needles for a while. I get overwhelmed by all of the projects and ideas that run through my head. Does this happen to you, too? Eventually something changes, though. I get the chance to go somewhere different, meet new people or visit with old friends, and suddenly it’s like a burst of energy and excitement runs through me. I have to start knitting again. 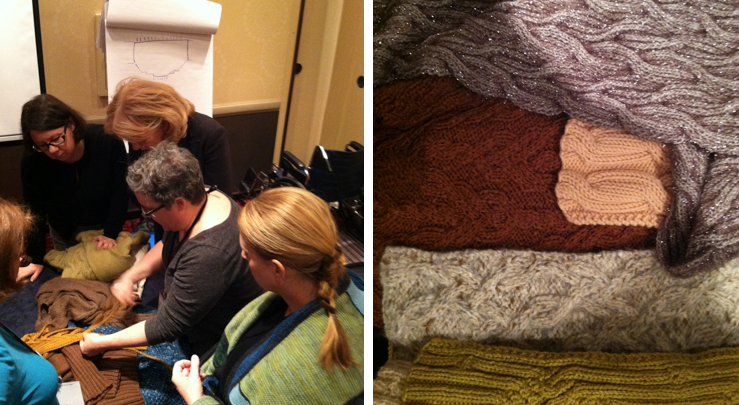 This past weekend I had the wonderful opportunity to attend my first Vogue Knitting LIVE in New York City. 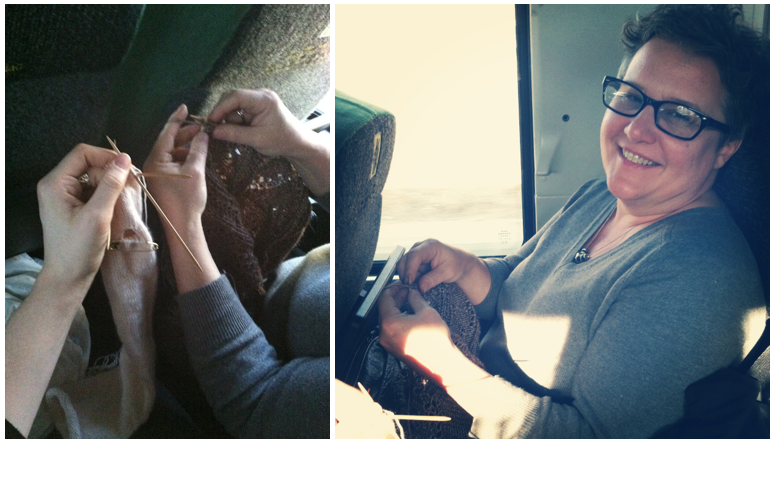 It was a busy weekend filled with yarn, beautiful designs, gorgeous art, fabulous classes and even some arm knitting! I also snuck in a visit to old friends who never cease to inspire. I also loved this work by Gabriela Serigatto. The silhouettes are intriguing and gorgeous on the dress form, but they really come to life on the body. I peeked in on one of Norah’s classes, too. She was sharing a variety of beautiful swatches with her students to help inspire them to design their own cable stitches. 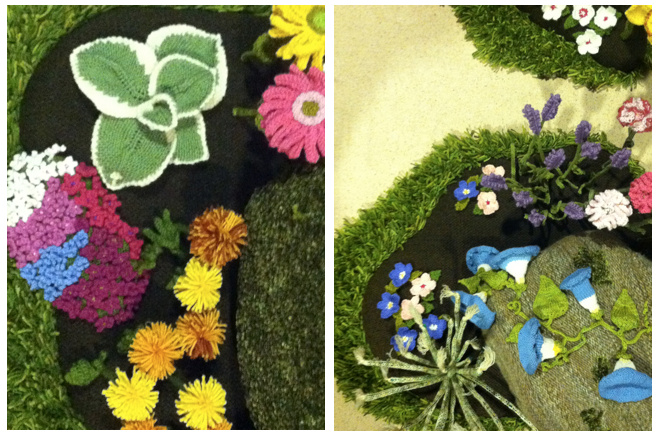 Even after working closely with Norah’s for much of the last year, I still find myself mesmerized by her creativity. Who, besides Norah, would think of turning cables into fringe, a she did in her scarf, Elbaite? I had so much fun at this event and I finally feel inspired to pick up my needles again! Have you taken any inspiring trips recently? I knitted Elbaite for a friend – I call it my scarf with dreads. I used Ultra Alpaca and it was awesome – I need to make another for myself! Awesome! I know, I want to make one for myself too!